KUALA LUMPUR (Feb 17): Malaysia's Financial Markets Committee (FMC) said the ringgit had been stable against the US dollar amid US interest rate hike expectation this year. 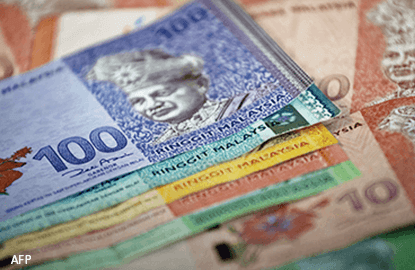 The ringgit's stability is due to Malaysia's measures to develop the onshore financial market. In a statement today, the FMC said foreign exchange (FX) volatility had reduced as the average intraday movement narrowed to around 53 points in January 2017 from 82 points in December 2016. Today, the committee said: "The ringgit continues to remain stable against the US dollar, with movements comparable to other regional and major currencies that are currently influenced by developments in the US financial market and expectations of interest rate hikes by the Federal Reserve in 2017. "Since the implementation of the Dec 2, 2016 measures to develop the onshore financial market, the FMC continues to see improvement as indicated by the volume of trading activities in the FX market," the committee said. Bank Negara Malaysia established the FMC in May 2016. The FMC includes representatives from Bank Negara and private sector entities with prominent roles or participation in financial markets. At 12:16pm today, the ringgit weakened to 4.4583 against the US dollar. Compared to the euro, the ringgit depreciated to 4.7586 at 1:03pm.